The guest for this episode is Anthony Molinia, Chief Information Officer at the University of Newcastle. 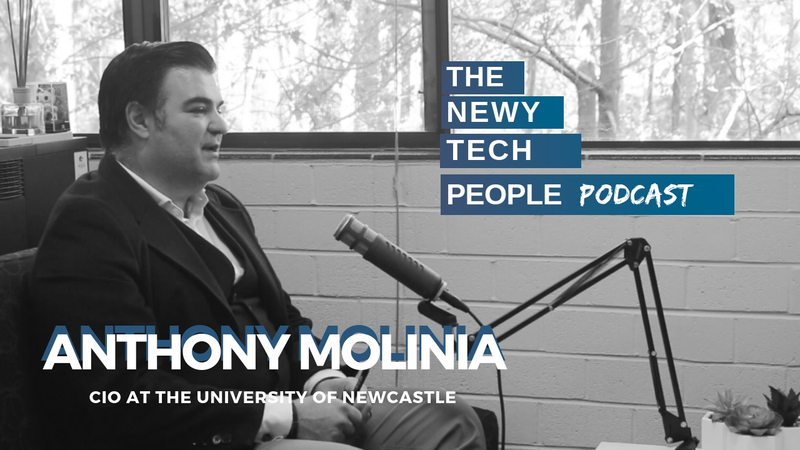 In this episode of Newy Tech People Anthony and I discuss the involvement of technology at the University of Newcastle and the importance of learning by doing. Anthony also shares his opinion on the future of education and whether technology will influence the way people consume education in the future. Anthony was an intelligent guest with experiences across a number of industries. There should be some solid insights here that most tech professionals can find value in. Thanks to the University of Newcastle for allowing us to film onsite. Hope you enjoy the episode and stay tuned for more episodes coming soon. Anthony spoke about the exciting projects happening at the University of Newcastle. He explained the role of the innovation team at the university in building a virtual reality for students, using artificial intelligence and block chain technology. Anthony mentioned the innovative projects happening in the community e.g. Newcastle City Council.